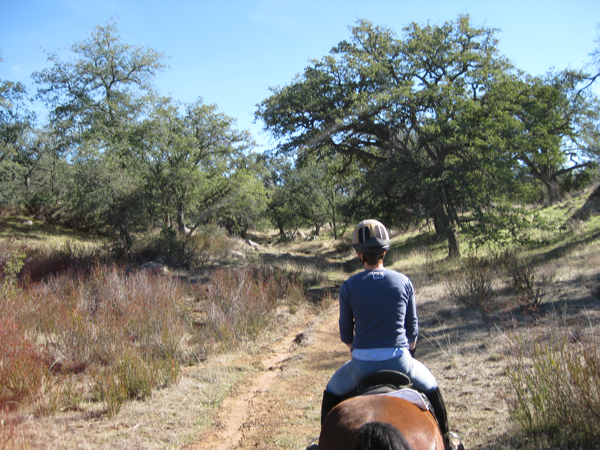 Length of Trail: The perimeter of Roberts Ranch is only about two miles. 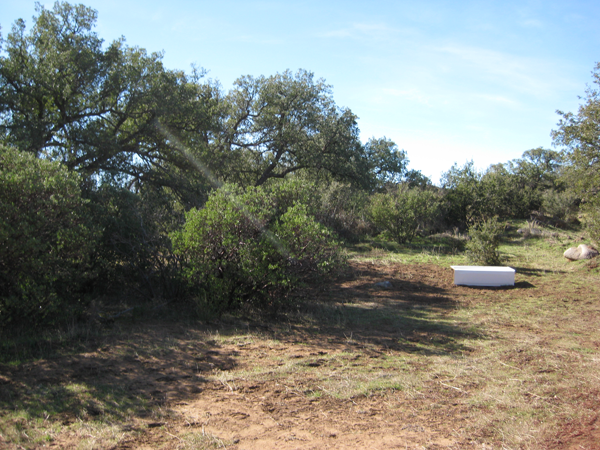 However, there are multiple trails scattered across the ranch. 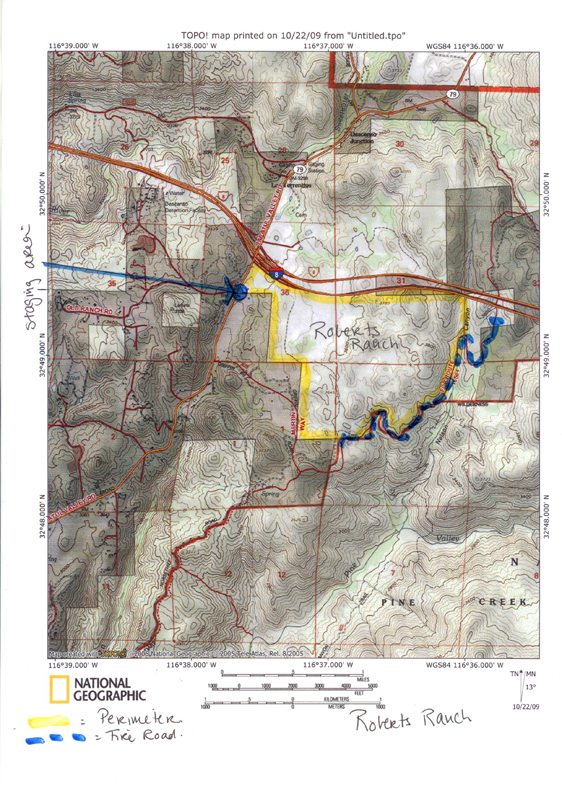 Together with the Horsethief Extension Fire Road, is it possible to ride a trail of 6-8 miles. Staging Area: The staging area is on Japatul Valley Road, about 0.2 miles south of Highway 8. You have to park by the side of the road and there is only space for one or two trailers. On weekends, one could park (probably illegally) in the Caltrans maintenance station next to it. There are no water or bathroom facilities at the staging area. No corrals for horses. Trail Conditions: Easy. The terrain is mostly flat. There are cows grazing in the fields. General Trail Info: This is part of the Cleveland National Forest and was added thanks to the stellar work of Descanso cabinet maker Duncan McFetridge and the Cleveland National Forest Foundation. This area is the former Roberts Ranch and Ellis Ranch. 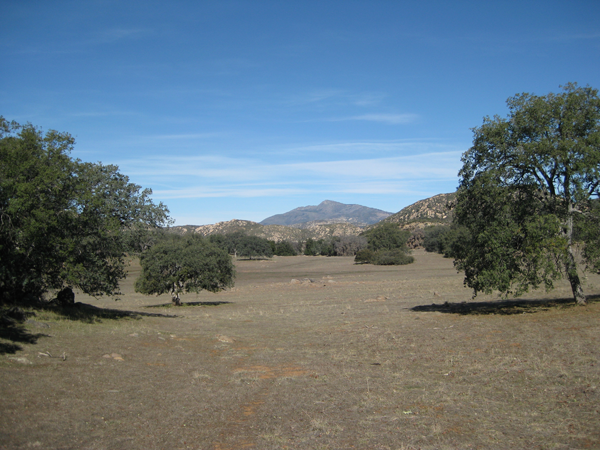 These ranches were destined for subdivision development when the Cleveland National Forest Foundation helped to raise money for their purchase. They are located adjacent to Highway 8 at Highway 79/Japatul Valley Road. Trail Description: Enter the property through the horse gate. The ride around the perimeter is about two miles round trip. There are cows grazing in the fields. There are some trails. There is no specific route, just pick your own trail. The terrain is varied. There are streams, woods and hills. It is quite possible to get away from the highway which is close by. 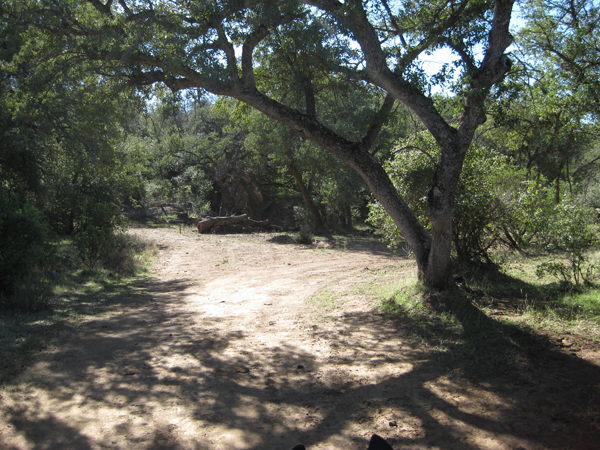 You are surrounded by private ranches, except at the south east point there is access to a fire road. This is the continuation of the fire road from Horsethief Canyon. There is a locked gate in the southerly direction, but you can follow the fire road for about three miles in a northerly direction before you meet another locked gate. 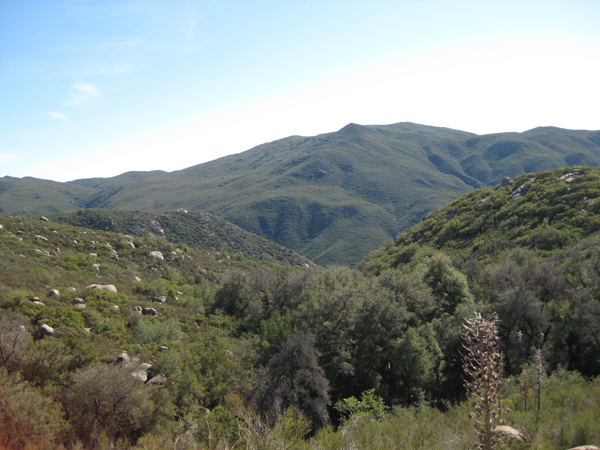 The footing is good and there are magnificent views of the Pine Creek Wilderness and Nelson Canyon.